Why Settle for less when you can have it ALL!!! 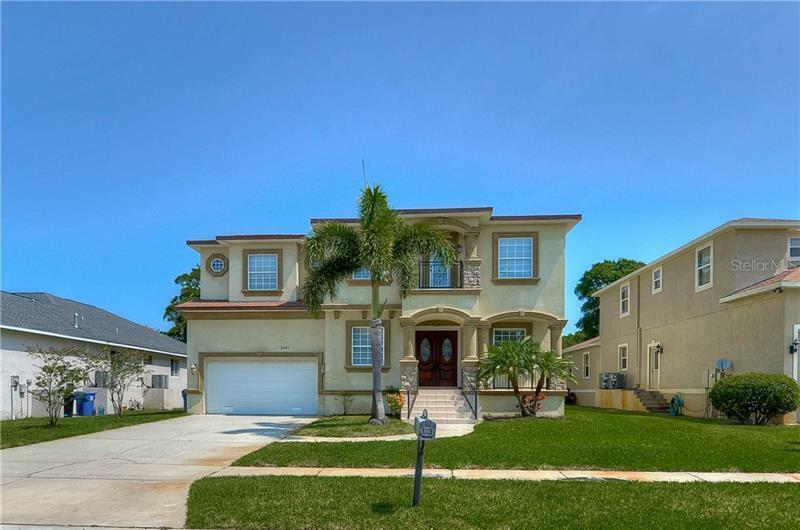 Bring your Boat, Jet Ski, RV and all of your toys to this Beautiful 4BR 3 1/2 Bath Pool Home. This Beauty has so many upgrades you will be shocked. New Laminate Flooring, New Windows, New Kitchen with Granite Countertops and pull out drawers in the cabinets, 1 updated Guest Bath Rooms with Granite Countertops, Gutters, Newer Septic, New Pool Screened Enclosure, over 600 sq. Bonus Room and a HUGE 3+ Car Detached Garage (36X28) with 12 ft. Ceilings and 10 Ft. Doors. This home has a really large Living Area with a Wood Burning Fireplace, Large Dining Room, and Inside Laundry. Your Master Bedroom is a really nice size with a large Walk in Closet and a Lighted Wall for Accent. The Master Bath has been updated with Double Sinks with Granite Countertops and a really nice size walk in Shower. Outside, you are going to fall in Love with your private Pool/Lanai area which includes a covered area as well as a Sauna Room and half bath. Also, you have your own Tennis Courts, Storage Shed and Court Yard. This Home is located in the very popular Lake Padgett Estates Neighborhood where you have access to 3 Ski Size Lakes, 3 Boat Ramps, and Several Parks with Playgrounds. Close to the New Premium Outlet Mall, Library and County Park. Don't wait on this one, it wont last long. Vacant Lot next door also available for sale for $65,000, MLS #T3168432.